Get your afternoon commute in check. WHYY’s Jen Howard snapped the photo below of the beginning of the Lincoln Day Parade, which is clogging up some Center City streets. 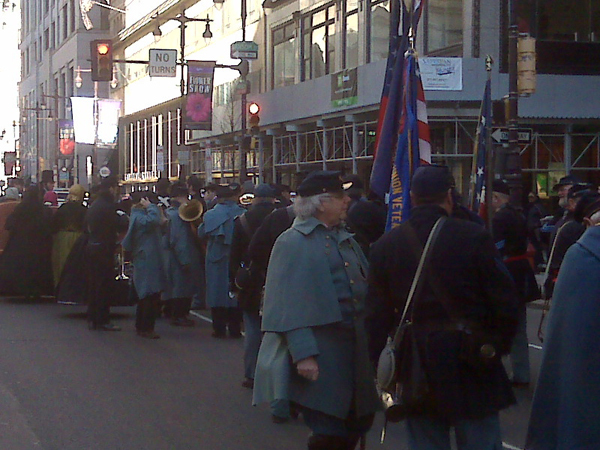 Starting at Broad and Sansom streets, the parade will then head down Chestnut Street to Independence Hall. So yes, there is a reason for the Civil War-era costumes you’re seeing.